Game On! Two Essential Super Bowl Recipes – Chicken Wings and Guacamole! My pick for the top Super Bowl Sunday recipes are chicken wings and guacamole. These two recipes are easy to prepare and delicious to eat through out the game! 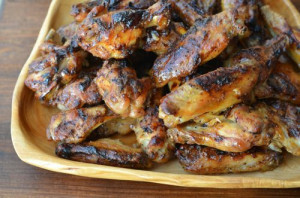 I This recipe for zesty chicken wings requires no FRYING, yet is a touchdown on the big flavor. 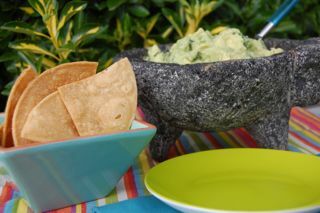 Every Super Bowl party needs guacamole, even if you are a party of one. This guacamole can be made in minutes. These party favorites are WINNERS – score and touchdown! From by the bay wishing you winning Super Bowl food memories! Preheat oven to 400°. Set a non stick wire rack inside each of 1 large rimmed baking sheet lined with foil. Place all ingredients in a large bowl; toss to coat. Place wings on the prepared rack and spread out in a single layer. Bake wings until cooked through and skin is crispy, 45–50 minutes. Remove wings from oven place in bowl, pour sauce on top toss and place back in the oven. Bake for 10 minutes until it starts to brown. Serve immediately. In a medium bowl add the lime juice and sea salt , let the salt dissolve. Cut and remove flesh from avocado and place into bowl with lime juice /salt along with scallions and mash with fork. Add ingredients listed below depending on the version you are making and mix well. Keep refrigerated until ready to serve. To the base recipe add 1 teaspoon jalapeno pepper, chopped. Make the base recipe but replace the cilantro with chopped mint and add 1/4 cup crumbled feta cheese. Make the base recipe but instead of cilantro add 1/4 cup sour cream and 1/4 cup crumbled blue cheese. This entry was posted in appetizer and tagged avocado recipes, chicken wing recipes, entertaining recipes, game day recipes, guacamole recipe, lime recipes, Super Bowl Foods, Super Bowl Recipes, top super bowl sunday recipes on January 30, 2018 by entertainingbythebay. This scone is like taking a bite of Christmas, eggnog and bourbon soaked cranberries…. 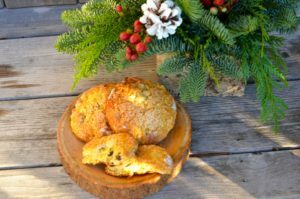 the perfect start to Christmas morning or perhaps your perfect morning for these scones are New Year’s weekend , when you still have the last of the eggnog left and you are wondering how to use it. I do think this recipe is worthy buying some eggnog for your holiday but if you don’t have any eggnog, please feel free to replace the 1 cup of eggnog with 1 cup of heavy cream. From by the bay, wishing you sweet eggnog food memories! In a small sauce pan add bourbon and dried cranberries. Bring to a simmer and stir a few times. Turn off heat and set aside for 15 minutes. There liquid should be soaked up by the cranberries , if not strain any remaining liquid and set the cranberries aside. Preheat oven to 400 degrees F. Sift flour and baking powder into a large mixing bowl. Add sugar and salt and whisk together. Add butter and blend with fingertips until mixture resembles a coarse meal. Mix in cranberries. Whisk eggnog and eggs in a small bowl and add to the flour mixture. Stir until just combined do not overwork. Transfer dough to a lightly floured work surface and pat to 1 inch round. Cut out rounds using 3 inch cookie cutter. Gather dough to cut additional rounds. Transfer scones to a parchment lined baking sheet. Brush dough with eggnog and sprinkle with demerara sugar. Bake scones for 10 minutes. Reduce oven temperature to 350 degrees F and continue baking until golden brown approximately 15 to 20 minutes. Cool slightly and serve warm or at room temperature. Scones are best eaten same day. This entry was posted in breakfast and tagged Bourbon recipes, butter, Christmas recipes, cranberry recipes, eggnog recipes, scone recipes, sugar, winter recipes on December 22, 2017 by entertainingbythebay. Well, with Christmas fast approaching, perhaps you are looking for that perfect Christmas cookie for your platter or maybe you are looking for something new to add to try for the holiday. Well, search no more this is soon to be your favorite cookie. 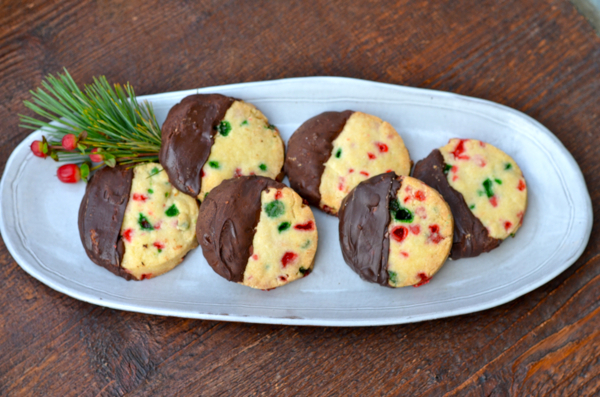 Consider a cookie that combines the taste of shortbread, candy canes and chocolate……….what???? Yes, your Christmas dreams should have visions of peppermint shortbread dancing in your head! If you don’t care for chocolate and yes there are some who don’t , this cookie is delicious without chocolate too. I only dip half of my cookies and both versions are eaten quickly! From by the bay, wishing you sweet peppermint shortbread food memories! In the bowl of an electric mixer fitted with a paddle attachment, mix together the butter and 1 cup of sugar until they are just combined. Add the vanilla. In a medium bowl, sift together the flour and salt, then add them to the butter-and-sugar mixture. Mix on low speed until the dough starts to come together. Add the candy crunch and mix through. Dump onto a surface dusted with flour and shape into a flat disk. Wrap in plastic and chill for 30 minutes. Roll the dough 1/2-inch thick and cut with a 2″ round cutter. Place the cookies on an ungreased baking sheet. Bake for 20 to 25 minutes, until the edges begin to brown. Allow to cool to room temperature. When the cookies are cool, place them on a baking sheet lined with parchment paper. Put 3 ounces of the chocolate in a glass bowl and microwave on high power for 30 seconds. (Don’t trust your microwave timer; time it with your watch.) Stir with a wooden spoon. Continue to heat and stir in 30-second increments until the chocolate is just melted. Add the remaining chocolate and allow it to sit at room temperature, stirring often, until it’s completely smooth. Stir vigorously until the chocolate is smooth and slightly cooled; stirring makes it glossier. Drizzle 1/3 to 1/2 of each cookie with just enough chocolate to coat it. Place on a rack so chocolate can set. Place in an airtight container until ready to serve. This entry was posted in cookies, desserts and tagged christmas cookies recipes, food gift recipes, peppermint recipes, shortbread, sugar, winter recipes on December 19, 2017 by entertainingbythebay. Add this delicious recipe to your holiday line up! This recipe for Pear Cranberry Bread Pudding is quick to assemble making for a perfect ending to a holiday meal serve warm with vanilla ice cream or fresh whipped cream, an excellent addition to your holiday buffet along side a baked ham or use in place of french toast for breakfast or brunch with powdered sugar on top and a little warm maple syrup served on the side along with sausage or bacon! The cranberries give it a festive note. 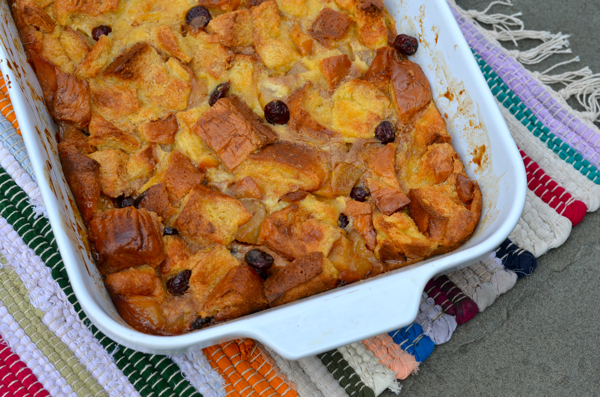 This bread pudding uses brioche bread that is toasted , it can be fresh or stale bread. No need to wait hours or overnight for soaking the bread pudding in the milk and eggs, just 5 to 10 minutes, so it can be assembled last minute. Try and enjoy this holiday season! From by the bay wishing you yummy bread pudding food memories! Preheat oven to 350 degrees F. Spread the bread cubes evenly on a large rimmed baking sheet and toast in the oven until golden and dry, approximately 15 minutes. In the meantime, melt 2 tablespoons of butter in a medium saute pan, then add the pears and 1/4 cup sugar. Continue to cook over moderate heat, stirring occasionally until the pears become soft and caramelized, approximately 15 minutes. Stir in cinnamon. Remove from heat, then add the brandy and cranberries. Stir well. The mixture should be syrupy and thick, if not place back on a low heat until it’s syrupy. Set aside. In a large bowl beat together the milk, eggs, 3/4 cup of sugar and vanilla extract. Melt the remaining 3 tablespoons of butter. Brush a 8″ by 11″ baking dish with about 1/3 of the melted butter. Add the bread cubes and then the custard mixture, stir well coating the bread cubes. Next add the pear and cranberry mixture to the bread and custard, mix again well. Let stand for 5 to 10 minutes so the bread will soak some of the custard. Place in the oven and bake for approximately 50 minutes until golden brown and the custard is set. Remove from oven and let cool slightly. To serve sprinkle with confectioner’s sugar and then serve with whipped cream or ice cream if serving for dessert. Note: If not serving immediately, cover with foil to keep warm . Serve within the hour. 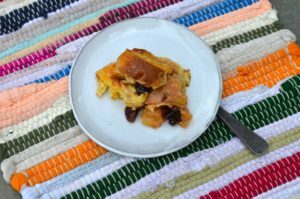 This entry was posted in desserts, pudding and tagged bread pudding recipes, cinnamon recipes, cranberry recipes, custard recipes, egg recipes, pear cranberry bread pudding, pear recipes on December 5, 2017 by entertainingbythebay. 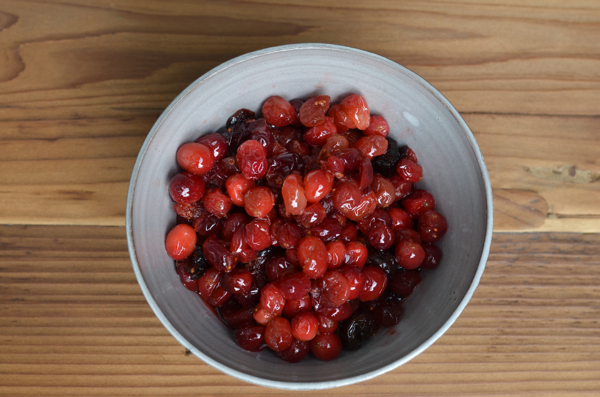 I love making my own cranberry sauce. It’s the perfect quick dish to give your personal flavor touch. I have made many combinations of sauce of the years but some I like to make again and again and this recipe is one that I am always being asked to make. What more to say than it’s not only got maple syrup, it’s got bourbon too! Need I say more?!!! From by the bay, wishing you berry maple bourbon food memories! Combine all ingredients in a medium sauce pan. Bring to a boil, stirring to dissolve sugar. Reduce heat and simmer approximately 10 minutes until the cranberries start to burst. Cool completely and then chill in refrigerator. Cranberry sauce will thicken. Serve chilled. This entry was posted in Sauces, side dish and tagged Bourbon recipes, cinnamon recipes, cranberry recipes, cranberry sauce, holiday recipes, maple recipes, maple syrup recipes, Thanksgiving recipes on November 17, 2017 by entertainingbythebay. If you ask what brine I recommend for this Thanksgiving, it’s a resounding yes to dry brine. You might ask why brine a turkey at all. The answer to that question would be just remember the last time you had dry turkey at Thanksgiving. 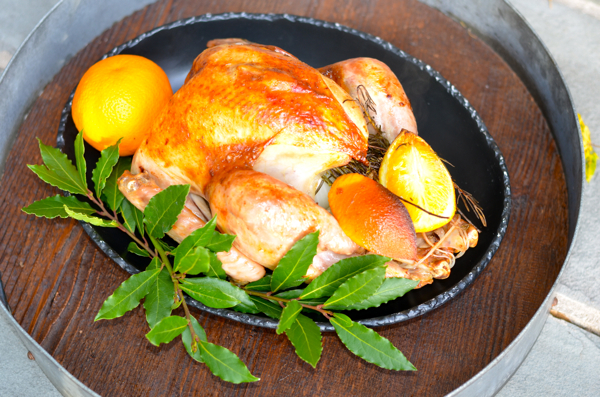 Using a brine definitely enhances the flavor of a bird with juicy results. Dry brine is a great way to go. What is dry brine? Dry brine is essentially pre-salting a bird. There is no water or liquid involved so there is no mess! The results are a flavorful bird that is moist with crispy skin. The best part is this is super simple to prepare besides being so delicious. From by the bay, wishing you delicious dry brine food memories! The morning before serving rinse turkey and pat dry with paper towels. Rub turkey all over with coarse salt including into the cavities. Place the turkey in a large plastic brine bag and move into the refrigerator. Before cooking, remove turkey from bag and pat dry. (There is no need to rinse it first.) Place in roasting pan and allow to come to room temperature.Preheat oven to 450 degrees F. Sprinkle half the pepper into main cavity of turkey; add thyme, rosemary, onions and orange quarters. Rub butter all over the turkey including under breast skin by gently lifting the skin. Sprinkle turkey with remaining pepper. Roast for 30 minutes. Reduce heat to 350 degrees. Add chicken broth to bottom of roasting pan and roast bird for another two hours, depending on size. Baste turkey with chicken broth every half hour. Add additional broth if needed. If turkey is browning too quickly cover breast and wing tips. Remove foil for last 1/2 hour of cooking time. After turkey has roasted for 2 hours, begin to test for doneness by inserting a meat thermometer (digital is best) into two places in thigh, making sure not to touch bone. It should be at about 160 degrees. When roasting is done, tip turkey so interior juices run back into pan. Remove turkey to a separate baking sheet or serving platter. Allow to rest for at least 30 minutes. The fat and drippings can be used to make a gravy. This entry was posted in main dish, poultry and tagged brine recipes, dry rub recipe, fall recipes, orange recipes, roast turkey recipes, rosemary recipe, Thanksgiving recipes, thyme recipes on November 10, 2017 by entertainingbythebay. 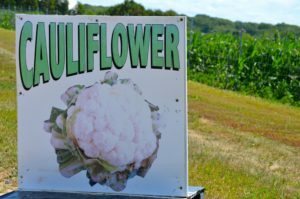 Here is a soup that is perfect for this time of year, The evenings are cooler , the variety of local produce is not quite so robust, but there are beautiful heads of cauliflower. Gorgeous to look at and delicious to eat. It’s just a few simple steps to having a warming bowl of cauliflower soup, balance with peppery arugula. This is definitely a recipe you will want to make over and over again during the cold season. From by the bay, wishing you warm white soup memories! Place all ingredients ( except arugula, salt and pepper) in a large pot over high heat and bring to a boil. 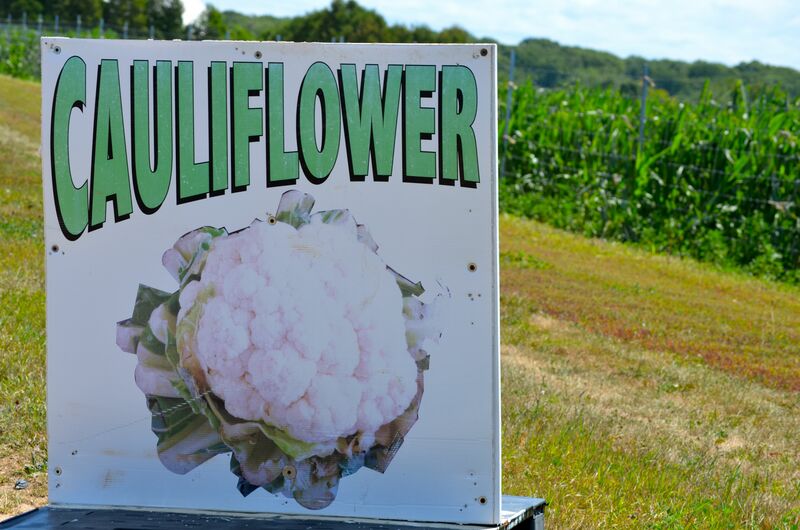 Turn down heat and bring to a simmer for 10 to 15 minutes until cauliflower starts to soften. Add salt and pepper to taste. Add arugula and mix and serve. Or place in the container and refrigerate until ready to use. Heat and serve. This entry was posted in soups and tagged arugula recipes, cauliflower and arugula soup, cauliflower recipes, fall recipes, potato recipes, winter on October 30, 2017 by entertainingbythebay. 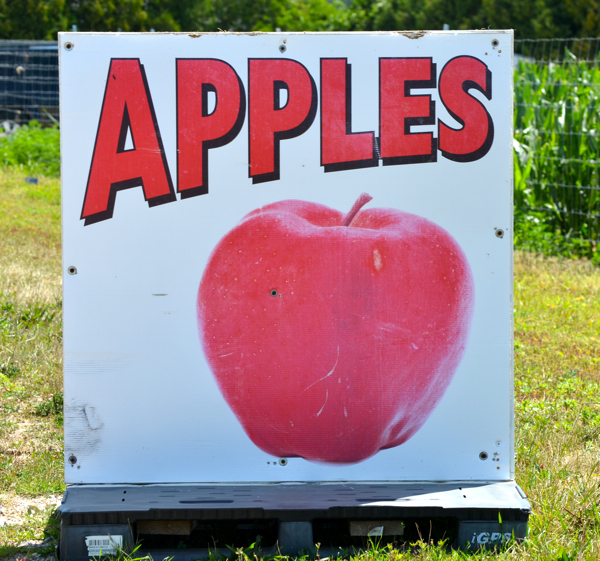 What’s the perfect fall combination, well apples and pumpkin spice! Now before you dismiss this idea because you see everything with pumpkin spice this time of year , let me make my case for this delicious recipe. Nothing beats home made apple sauce, especially this time of year when we have so many apples available. I always flavor my apple sauce with cinnamon, using my homemade pumpkin spice , it’s amped up flavor, with nutmeg, cloves, ginger and allspice. 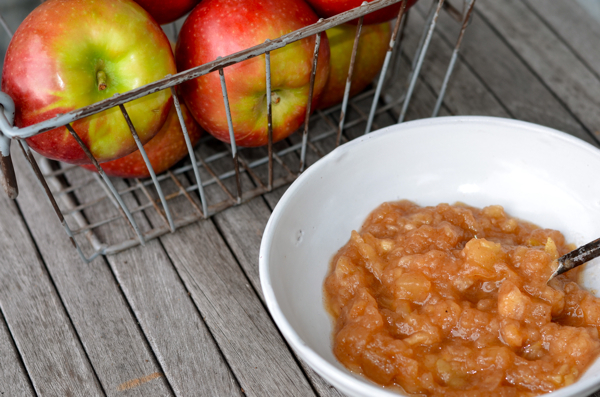 The resulting taste is so good, you will only want pumpkin spice applesauce from now on ! Honest!!! From by the bay , wishing you pumpkin spice food memories! 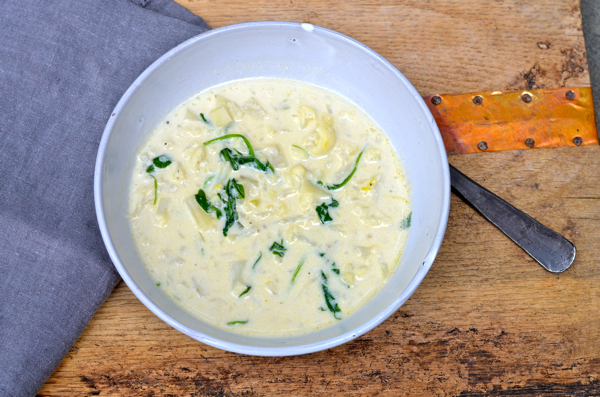 Place all the ingredients into a medium saucepan and bring to a boil. 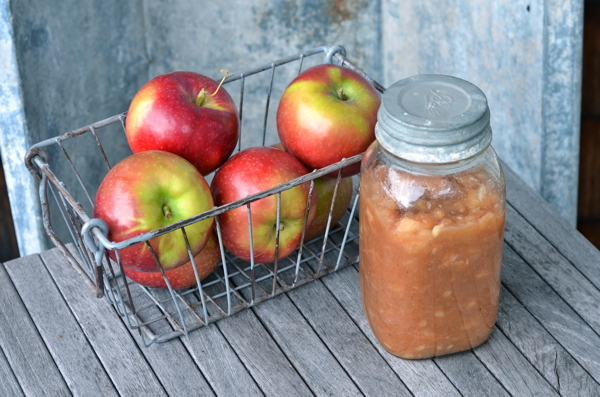 Reduce heat and simmer for 25 to 30 minutes, stirring occasionally until apples are soft. Remove from heat and cool. Mash the apples together with a potato masher. Place in an air tight container and refrigerate until ready to use. It will keep in a refrigerator for about 1 week. Mix all spices together well and store in a closed air tight container. 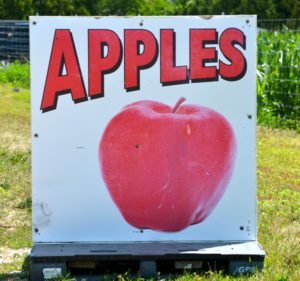 This entry was posted in side dish and tagged apple recipes, applesauce recipe, cinnamon recipes, fall recipes, pumpkin spice applesauce, pumpkin spice mix, pumpkin spice recipe on October 6, 2017 by entertainingbythebay. 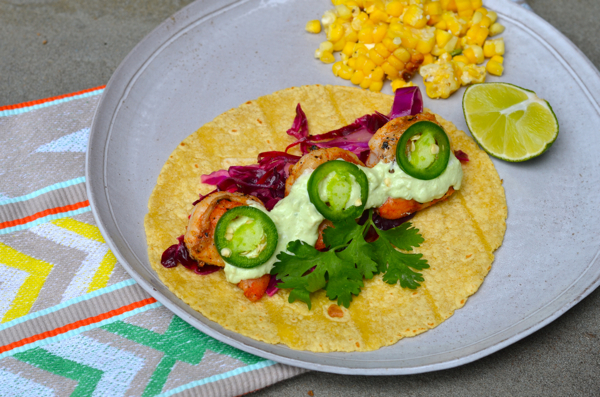 Here is a delicious, quick and oh yes, healthy meal – Spicy Shrimp Tacos with Red Cabbage Slaw. It’s great to serve family style for ease. It also makes a great meal for guests since it can be prepared quickly and most of it in advance. 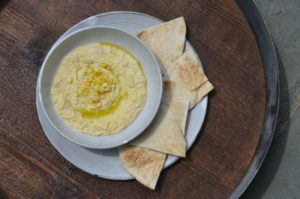 This is one of my favorite go to summer dishes, because it’s light , easy and cool but of course it’s great all year round ! From by the bay, wishing you spicy taco food memories! In a medium bowl add the lime juice, orange juice, olive oil and sugar. Whisk together until sugar is dissolved. Add the red cabbage to the bowl and mix until cabbage is coated with the dressing. Add salt and pepper to taste. Let sit in the refrigerator covered for approximately 4 hours before serving. In a small food processor or blender add the avocado, lime juice, sour cream and salt. Blend until smooth. Place in a covered container and place in the refrigerator until ready to use. Heat a grill pan until hot, add the shrimp and grill approximately 2 to 3 minutes per side or until the shrimp turn opaque. Warm soft tortillas in the microwave for a minute. To serve, place the shrimp, slaw, avocado sauce along with garnishes of lime, cilantro and jalapeno on platters and allow guests to make their own tacos. This entry was posted in main dish, seafood, Uncategorized and tagged avocado recipes, avocado sauce, coleslaw recipes, grilled shrimp recipes, jalapeno recipes, mexican recipes, red cabbage recipes, shrimp recipes, spicy shrimp tacos with red cabbage slaw, summer recipes on September 20, 2017 by entertainingbythebay. Entertaining: What’s Cooking Labor Day Weekend! If you are like me, you are finding it very hard to believe that September and Labor Day Weekend are here! But with that we like to celebrate Labor Day Weekend with friends and family. Here are a few of the recipes I’ll be using to entertaining this weekend! 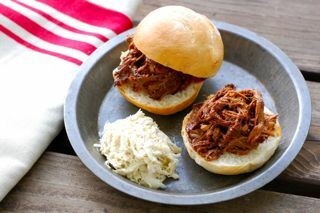 Another favorite meal that is an easy meal for a crowd that is delicious and super simple to make is Brisket with Cola Barbecue Sauce. You’ll love the flavor using your favorite NON-DIET Cola in your sauce! Wondering what to serve along side this dish , you definitely need some fresh coleslaw. 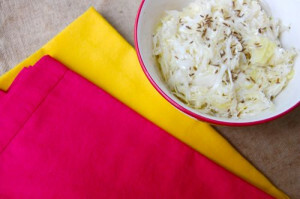 I like to make my Grandma’s Coleslaw with Warm Dressing. Definitely, a comforting complement to the brisket! 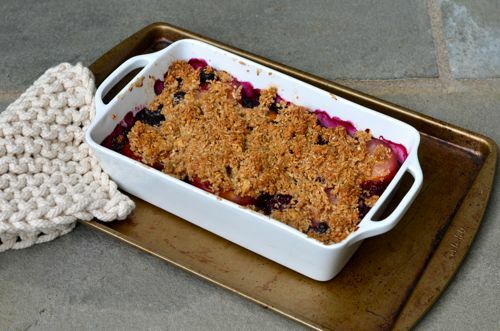 The perfect dessert for a crowd is a crumble and this crumble mixes blueberries and plums for a slightly sweet and spicy dish. You will love my Blueberry Plum Crumble! 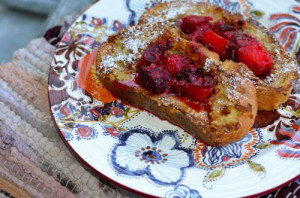 If you need a breakfast brunch idea for the weekend, one of my favorite dishes is Vanilla Bourbon Soaked French Toast. I use big thick slices of brioche soaked in vanilla and bourbon. Bourbon? Why not it’s a holiday weekend and the french toast is topped with a yummy mixed berry and plum compote! 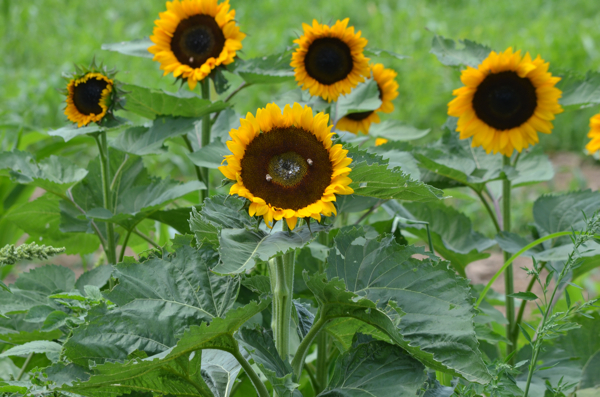 I will definitely try to bake some cookies this weekend to have around the house and in celebration of sunflowers I think I’ll be baking sugar cookies topped with sanding sugar to look like my beautiful sunflowers! 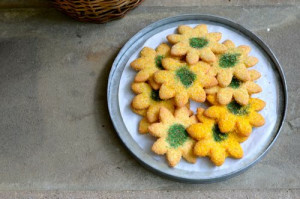 Use my Favorite Sugar Cookie recipe! From by the bay, make great friends and family food memories this weekend! This entry was posted in beef, breakfast, cookies, crisps/cobblers, desserts, main dish, side dish and tagged blueberry plum crumble, blueberry recipes, Bourbon recipes, brioche recipes, brisket recipes, cola recipes, coleslaw recipes, corn recipes, crumble recipes, french toast recipes, grandma's coleslaw with warm dressing, hummus recipe, mixed berry and plum compote, my favorite sugar cookie recipe, plum crumble, plum recipes, roasted sweet corn hummus, summer recipes, vanilla bourbon soaked french toast, vanilla recipes on August 31, 2017 by entertainingbythebay.